We’ve all experienced it – that dreaded moment when a new appliance suddenly stops working. And rather than giving you comfort, the idea that it is still under warranty gives your stomach muscles a twist. Where is the receipt – is it in the trusty old box labelled “receipts & other stuff” in the study; or in the pile of to-be-filed papers collecting on the dining-room table? And if you are lucky enough to find it, will it be readable or has the ink melted away into the thermal paper. In this post, I evaluate the concept and technology being developed by a team of South African entrepreneurs to digitise warrantees. By further unlocking the use of block-chain technology (Van Rooyen, 2017), key role players in the day-to-day transaction cycle will be connected to streamline the warranty and warranty-claims processes and eliminate the need for paper-based warrantees. What is a digital warranty? The concept is for manufacturers to create product information, which include the warranty parameters, in an Ethereum blockchain at the point of manufacture. Retailers will augment this information in the chain with the sales information when the item is sold to the consumer, thereby creating the warranty information. The consumer will then use an app to add their details to the chain which completes the digitised warranty. Figure 1 shows how a manufacturer would create its finished goods in the chain, including product information (for example, make, model, serial number, etc) and the warranty parameters (for example, term/period, type of warranty – repair only, replace only, repair or replace, service only). The manufacturer will also record when the item is sold to a retailer or distributor to allow for the tracking of items (weather it is in transit, on-floor or with the consumer). An additional feature for manufacturers would be product placement in the app, once the consumer has completed the steps illustrated in Figure 2 below, using code from one of the readily available open-source recommendation agents. For example, a customer that registers a new 50″ TV can be sent a notification, or shown in the app, what other customers bought in addition to the TV – for example, a sound-bar. Also, on expiry of a client’s warranty, manufacturers can push replacement products to consumers or give the consumer the option of buying an extended warranty. Figure 2 illustrates the process flow once the consumer has purchased the product which, in most cases, is when the warranty is activated. Participating retailers will add a QR code to the printed receipt which the consumer will scan with their smartphones, directing them to the digital warranty app. It is anticipated that large contracted-in retailers will require only a unique code from the customer – their warranty wallet number – to have the purchase sent to their digital warranty wallet, eliminating the need for a printed receipt altogether. Registering on the app can be done through an email & password combination or using an existing social media account. A broadly similar workflow, with different interfaces, will exist for consumers that want to register and manage their warrantees online instead of on the app. Once registered, they can add new warrantees, create an asset register or manage their warrantees – for example, take out extended warrantees – directly on the app or online. Opt-in notifications will send consumers an alert when an item’s warranty is about to expire and offer extended warrantees where these are available as well as advertisements from manufacturers. Most importantly, because the information in the chain is immutable, consumers no longer need a physical receipt and any claim they make against the warranty will automatically be validated through the entry in the chain. By placing the customer at the centre, various add-on services can be created to manage the claim process on behalf of the manufacturer – for example, courier services to move items to and from the service centre or providing loan items for critical appliances. Why would people use this? Easy access: Purchase information is stored in one place, making it easy to reference and access when needed in a fast and efficient manner. Durability: Unlike paper receipts that are often printed on thermal paper, a record created in a blockchain is immutable and permanent. Acceptance: The decentralised nature of blockchain technology means that the warranty is automatically validated in the chain in the event the consumer needs to make a claim. Free storage: e-slips eliminates the needfor space-consuming and complex filing systems. Information security: Personal information is stored only once in the app rather than with multiple retailers, which reduces it’s susceptibility to malicious or accidental disclosure. Customer loyalty: Completing forms, collecting data and hard copy documents are a thing of the past which is likely to improve brand loyalty & increased repeat sales. Reduction in fraudulent claims: As the authenticity of the warranty is no longer paper-based and dependent on human error, it is expected that the cost of fraudulent claims will reduce. Claims for “fake” or counterfeit products will no longer be an issue as the manufacturer or retailer can track the chain of custody of each product. Increased sales: Product placement and recommendations within the app or making extended warrantees available can generate revenue. Cost reduction: Efficiency in the sales and warranty claims process. Printing and printer maintenance cost will reduce. Reduced carbon footprint: Consumers respond positively and reward retailers with loyalty when the retailer demonstrates awareness of and a reduction in its carbon footprint. What are the challenges and how will the entrepeneurs respond? Monetising the service: The reality is that, whilst consumers may crave the simplicity of the service, not many will be willing to pay for it. Revenue streams would need to come from manufacturers and retailers who may not see the immediate benefit to them. Emphasis should, therefore, be on creating the ability to track inventory through the entire value chain, quick validation of warrantees when claims are made and increased sales from product placements. An additional consideration is to let consumers experience the service and then implement a pay-as-you-want pricing model for people to contribute toward the service. Scale of the ecosystem: There are many role-players in the value chain which complicates negotiations and, due to the highly competitive nature of the consumer goods market, open discussions are tricky to navigate. Seeking out an advisory board for the initiative that is credible in the retail sector and can offer good connections is imperative, as is an experienced negotiator. Lack of trust leading to low uptake: Whilst consumers, retailers and manufacturers would all appreciate the convenience, online trust is a subjective emotion that is hard to establish for new providers. This is especially the case where a recommendation agent recommend additional products, sponsored by the manufacturer, to consumers. All sponsorships will be disclosed in addition to comments as to why the specific product is being displayed. The choice of initial partners – retailers and manufacturers – is crucial to creating trust and credibility for the service. 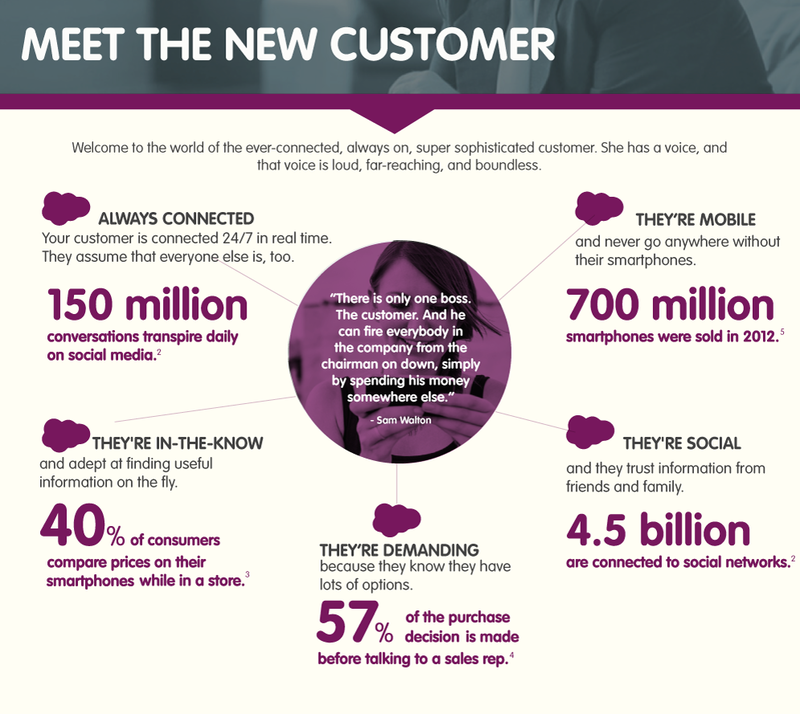 In addition, electronic word-of-mouth references from retail-industry influencers/stalwarts will increase adoption. Funding: Like all start-ups, the team are looking at different funding options for their business. One of these options is crowdfunding to see if that attracts a suitable investment without having to give up too much of the company’s equity. The portability of the information collected through this process to other organisations – like short-term insurers and financial institutions – and the actual service to other industries – like motor-vehicle warrantees – are wide-reaching. Whilst there are many and seemingly sizeable challenges to overcome, the benefits throughout the entire value chain and the rather simplistic technical solution to realise these benefits, makes this a no-brainer. The team of entrepreneurs in South Africa are excited to deal with the challenges and are confident that the various role-players will come together, putting the consumer at the centre, to make this possible. Look out for your electronic warrantee coming soon. Kulkarni, A. (2018). What else could blockchain be used for? Quora. Retrieved from https://www.quora.com/What-else-could-blockchain-technology-be-used-for/answer/Ajit-Kulkarni-4 on 22 February 2019. Van Rooyen, J. (2017). Real-world applications of blockchain-enabled supply chains. Resolve SP. Retrieved from http://pressoffice.itweb.co.za/resolvesp/PressRelease.php?StoryID=275840 on 22 February 2019. Three million commuters use the metro rail on a daily basis in South Africa. The underdeveloped public transportation system has frequent delays, however there are no notifications of cancellations or changes in the schedule due to the fact that there are no sources of real time travel information. The South African startup, GoMetro, provides commuters with mobile services through the mobile web, apps, socials networks and sms-services and thereby they connect transit operators with commuters who are at the center of the platform. Commuters in their turn log on to the platform and share their real time location, stops, delays and any cancelations. In return GoMetro can provide and exchange real-time arrival and departure information, current locations of vehicles, early notifications of operational breakdowns and travel disruptions of the public transportation system. Hereby, GoMetro, transit operators and commuters co-create value through the sharing of real time data information creating a platform using a customer-centric approach. Although GoMetro started in South African cities with underdeveloped transportation systems, the scope of the business model reaches much further. Personal mobile devices are being used and have changed information distribution paradigms, however they have not yet been used in the public transportation domain (Nunes, Galvao and Cunha, 2014). When consumers interact with service providers, in this case GoMetro, a win-win situations is created. This business model incorporates three different roles for the commuters in the co-creation of value; they need to use the information, provide real time information and validate given information (Nunes, Galvao and Cunha, 2014). This business model can be used in many different countries and cities, as the use of mobile devices has risen substantially over the recent years and will continue to do so (Emarketer.com, 2018). The three parties involved in the platform of GoMetro are the commuters, the transit companies and GoMetro itself, each creating value with each other as to create joint profitability. The commuters create value through sharing the real time travel data and use the travel data of others, thereby creating value for the platform as a whole. The transit companies can provide incentives such as discounts on travel fares for the commuters, as to incentivize them to share their travel data. GoMetro contributes by the creation of the platform and bringing all users together so they can co-create value, in return they make money through advertisements on the platform. The creation and development is done in cooperation with Intel, who provide technical support and insights. All these elements are linked to the customer-centricity of the platform and the interaction between the parties creates joint profitability for all players involved. The institutional environment GoMetro faces in South African cities has been positive ever since GoMetro started with the idea. With millions of people commuting each day in South Africa and many cannot afford a car themselves, efficient public transportation could be a lifesaver. GoMetro helps to improve the efficiency and commuters adopt the platform in large numbers, as already near to a million people are registered users. Looking at the support the company is getting from both governmental institutions as well as private companies the platform seems to be beneficial for all. Increasing the use of public transportation in the big South African cities helps to reduce the use of private cars, air pollution and frees up space in the cities, as less cars enter the urban areas. All these elements contribute to a more efficient infrastructure of large cities. Having no legal boundaries or complications, makes the institutional environment even more advantageous for the platform of GoMetro. One drawback is the issue of privacy concerns. Sharing real time personal travel information reveals where you are at a given moment in time and this captures valuable information which can also be used for undesirable purposes. Consumers have to consider whether sharing their real time travel data is worth the costs of sharing private information with the platform. As long as the benefits outweigh the costs, the platform has a sustainable business model and a bright future (Karwatzki et al., 2017). The extent to which the business model of co-creating value by customers sharing their real time travel information with a platform can reach is yet to be determined. The need for a more efficient public transportation system and the willingness of commuters to share their real time travel data are the least requirements for the business model to succeed. ‘As cities grow, they are in need of a flexible mobility platform to service their mobility needs’ (Justin Coutzee, Founder of GoMetro, 2016). Big cities in Africa, Asia and the Middle East are likely to adopt such business models as they want to improve the way people move within their urban areas. Nunes, A., Galvao, T. and Cunha, J. (2014). Urban Public Transport Service Co-creation: Leveraging Passenger’s Knowledge to Enhance Travel Experience. Procedia Social and Behavioral Sciences, 111, pp.577-585. Emarketer.com. (2018). Mobile Phone, Smartphone Usage Varries Globally – eMarketer. [online] Available at: https://www.emarketer.com/Article/Mobile-Phone-Smartphone-Usage-Varies-Globally/1014738 [Accessed 13 Feb. 2018]. Karwatzki, S., Dytynko, O., Trenz, M. and Veit, D. (2017). Beyond the Personalization–Privacy Paradox: Privacy Valuation, Transparency Features, and Service Personalization. Journal of Management Information Systems, 34(2), pp.369-400. “We’re about to change the fashion industry by bringing the customer’s personality into the design process through data technology”. – Aleksander Subosic, co-founder of Ivyrevel. Finding unique clothing can be difficult; custom-made clothing is usually not affordable and designing your own piece requires design experience, which most people lack. Ivyrevel, part of the H&M Group and the world’s first digital fashion house, partnered up with Google to solve this issue by combining couture with data technology. Together, they created the Data Dress: “A personalized dress designed entirely based on a user’s context signals” (Brook, 2017). First, install the app and select an occasion e.g. party, gala or business, and a style for the dress. Then, simply carry your phone wherever you go (which you probably already do) and the app will use Snapshot API to learn from your daily activities, with your permission. During seven days, the app will capture context signals and ask you to confirm certain the data to ensure that it corresponds with your lifestyle. By doing all of the aforementioned, you become part of the value creation process. Finally, the data is passed through an algorithm that creates a virtual custom-made dress, ready for you to purchase. Will customers buy the Data Dress? According to a survey by Bain & Company, +/-30% of shoppers were interested in designing their own clothing. Furthermore, they found that unique products lead to lower return rates and create a deeper connection between shoppers and retailers (Wiggers, 2017). Thus, there is a potential market for the data dress. This video, shows that Kenza lives in Stockholm where it is -2°C and that she visited a fancy restaurant. Therefore, the app made her a black velvet dress with crystal details, reflecting her lifestyle. This shows that consumers will get a truly unique, on-trend, and custom-made dress. Additionally, consumers become part of revolutionizing the way we look at fashion. For fashionistas interested in technology this is the ideal combination, and it allows them to be early adopters within their community. Ivyrevel aims to ‘merge fashion creativity with technological innovation.’ (Ivyrevel.com). Thus, by introducing the data dress, Ivyrevel will achieve this goal. Regarding costs, Ivyrevel is not dependent on designers and won’t need to invest much in production, since it already has a clothing line and production facilities. According to Adformatie.nl, the dress will cost €93. I expect that Google will receive financial resources by allowing Ivyrevel to use its API technology. Additionally, Google enhances its positive reputation regarding technological innovation and receives positive WOM. Currently, the app has launched in closed alpha stage and is being tested by selected global fashion influencers (Brook, 2016). Since not much information is available regarding the specific institutional arrangements and –environment, I will propose a few. The protection of consumers’ privacy. Consumers are responsible for granting tracking permission and Ivyrevel will not share their information with other parties. Safe payments within the app. Production processes that are carried out under ethic conditions. It is important that Ivyrevel makes clear arrangements for these kinds of issues to prevent problems from arising. Let me start by saying something we all already know: in the current digital world, innovation is critical. Disruption from new agile competitors becomes a continuous threat for many businesses. As we all expect, innovation needs fresh thinking, open minds, experiments and new approaches. In the last years many new technologies were launched. However, in many cases it is hard to unlock the full innovation potential of these technologies – such as data analytics, mobile and digital. To unlock this potential, I claim that within big firms innovation leaders need to lead this innovation and use dynamic new approaches to co-creation and collaboration. A great example of such a dynamic new approach is crowdsourcing. Crowdsourcing is a dynamic approach to the generation of ideas, without being bounded to traditional (firm) boundaries. Crowdsourcing gives the possibility to include input from the entire business ecosystem, which includes the input from employees, partners, suppliers and customers. An excellent illustration of such corporate crowdsourcing is the SAP HANA Innovation Challenge. HANA is SAP’s in-memory database technology. Yearly, also this year, they organize a crowdsourcing contest. The SAP HANA Innovation Awards were designed to showcase and honor customers innovating with SAP HANA. Because current year’s contest is still active, I will illustrate this example based on the 2014 contest. The contest was organized the following. Customers using SAP HANA in production were invidted to enter their innovation story in a certain category. 22 finalists were selected by public voting. 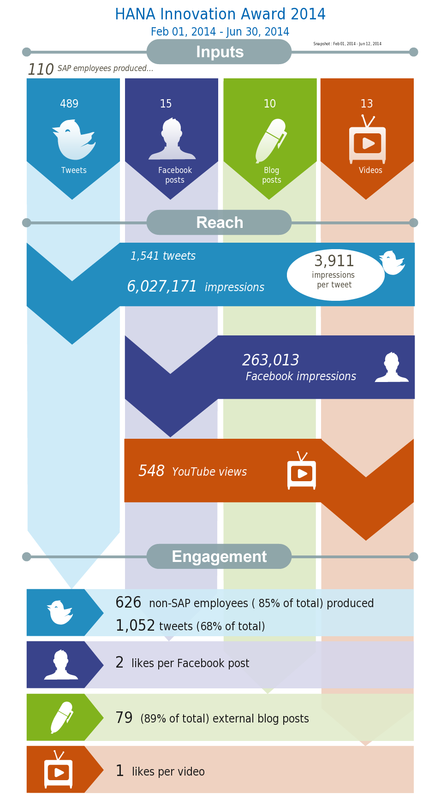 The social buzz for the conteste hashtag #HANAStory generated over 6 million impressions on Twitter, 6.7 thousand votes and 76.1 thousand website visits. SAP User groups were invited to nominate judges and 11 judges reviewed and scored each of the 22 finalists using a score card to select the final winners. This lead to a massive attention to SAP HANA innovation and mulitiple ideas were executed and implemented on a larger scale. CIOs can open up their innovation process by partnering with third parties who share their aims and are prepared to collaborate. To identify potential allies, innovation leaders must study their partners’ portfolios to find common areas of interest. If a small group starts to define innovation opportunities, it can result in a very narrow approach being taken. Opening up for a wider group can give you a greater diversity of input. It also can give you insight in the end-user experience. The end goal of idea crowdsourcing is to implement innovative ideas. To reach this goal, it is important to have a clear appraoch towards prioritizing and selecting the best ideas. In most cases such an approach consists of two stages: structuring and selecting. What can innovation leaders learn from this blog? Very straightforward, that the people at their organization, and the people around their organization, are full of innovative ideas. It is key to find new ways to unlock the potential innovative value of these ideas and exploit it. Innovation leaders should start experimenting now: where can crowdsourcing be used to move product/service/technology from a deployment to a genuine innovation? The story in this blog is pure fiction. The fundamentals of this blog is inspired by the following academic article: Schreier, Martin, Christoph Fuchs, and Darren W. Dahl. “The innovation effect of user design: Exploring consumers’ innovation perceptions of firms selling products designed by users.” Journal of Marketing 76.5 (2012): 18-32. It was the first Monday morning after my 3-week during holiday. I jumped into my car and head to work, kicking off my working-week at Threadless ltd. Arrived at work, I noticed something was different, my colleagues where not there. Literally, no cars on the parking lot, no bikes, no nothing. The entrance of my office was still open, but the receptionist wasn’t there either. The entire “freaking” office was empty, non of my fellow product developers where present. At first I thought, is this a dream? But then, a couple of minutes later, I saw the Porsche of my boss driving towards the office. He jumped out and spoke the following words to me: “Hi Justin! You can go home, our customers have taken your job, for free!” My natural reply was: “Our customers?” , leaving alone my thoughts “I am fired!?”. Let me explain, Schreierer et al. (2012) found that common design by users (products developed by customers) enhances the perceived innovation ability of a firm, leading to greater purchase intentions. In other words, by empowering a firm’s customers to build their own products, a company saves money while increasing their future sales. In the extremes, a firm, such as where (I) Justin worked, entirely outsource their product development and fires their employees of the design, innovation or product development department. Examples are LEGO (customers partly develop new LEGO models), Threadless (fashion items designed by users) and Linux (entirely open-sources co-created operating software). The authors describe that products that best-fit for outsourcing product design to users is with products with low-complexity and in markets where users are familiar with user innovation. A large downside is found in the field of luxury products (Fuchs, Christoph, et al. 2013). For each individual firm it is therefore (according to literature) a trade-off between perceived innovativeness and luxury. Coming back at the case of Justin and Threadless ltd, the business owner and boss determined to fire the entire product development department. Instead of letting employees design their shirts, they outsourced design tasks towards the customer themselves. Interesting to experience is the way the business owner could cut costs and increase their sales. Less costs, more sales: free money, for nothing. As most fair tales have a happy ending, this was the case for Justin too. He was one of the best product developers of his company Threadless. He determined to continue working on new designs, but now from as a customer / co-creator. In the end his experience and feeling for fashion let to the result of being the best-performing artists on Threadless, earning even more than his former salary [CHECK THE VIDEO OF JUSTIN]. 1. Fuchs, Christoph, et al. “All that is users might not be gold: How labeling products as user designed backfires in the context of luxury fashion brands.”Journal of Marketing 77.5 (2013): 75-91. 2. Schreier, Martin, Christoph Fuchs, and Darren W. Dahl. “The innovation effect of user design: Exploring consumers’ innovation perceptions of firms selling products designed by users.” Journal of Marketing 76.5 (2012): 18-32. In this blogpost I will talk about the article “The dark side of customer co-creation: exploring the consequences of failed co-created services” by Heidenreich, Wittkowski, Handrich and Falk (2014). Co-creation becomes more and more common. Co-creation can take place in product development and service development. The authors focus in this article on co-creation in services, whereas in services “innovation always starts with customers’ unmet needs” (Ostrom et al. 2010, p. 16). Co-creation is beneficially for both firms – which are able to adapt changes better to customer needs – and customers – who will be more satisfied because of more empowerment. However, more involvement asks for more contact points between the firm and the customer, which in turn leads to higher complexity of the process and service. And as we all know, higher complexity increases the risk of failure. Whereas current literature emphasizes the positive effects of co-creation, this article highlights potential negative influences of co-created services. The authors conducted four studies to investigate this dark side of customer co-creation. In this blog post I will highlight the outcomes and implications of these four studies, without mentioning all methodological and statistical characteristics. 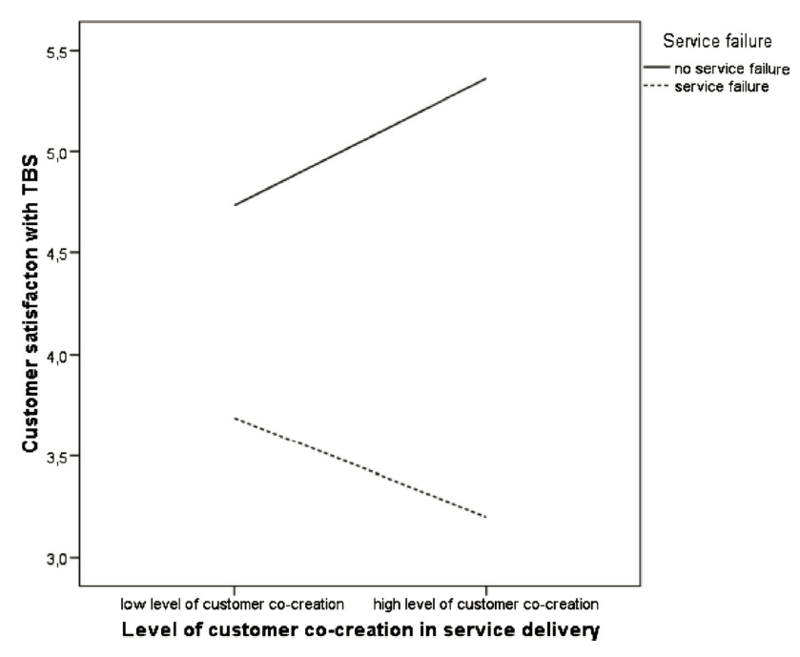 The authors show that in case of service success, highly involved customers are more satisfied than customers who barely participated in co-creation. However, in case of failure, co-creation triggers a greater imbalance between customers’ expectations of delivery and the actual outcome. As a result, negative disconfirmation is enahnced, leading to a decline in satisfaction. After failure of service delivery, a firm must make up for its mistakes. The process of fixing failures is referred to as service recovery. 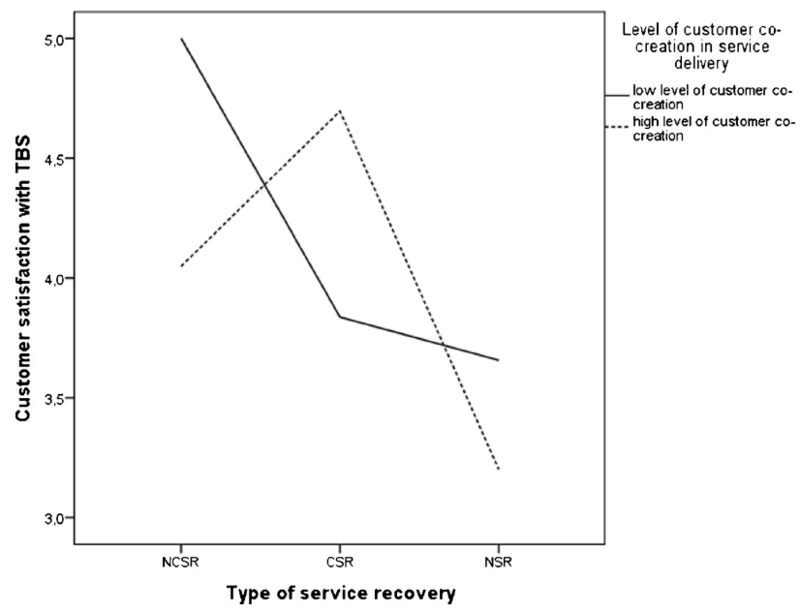 Current literature even shows that sometimes customer satisfaction, customer loyaly, and customer repurchase intentions are higher after successful service recovery than if the service delivery was successful in the first time. 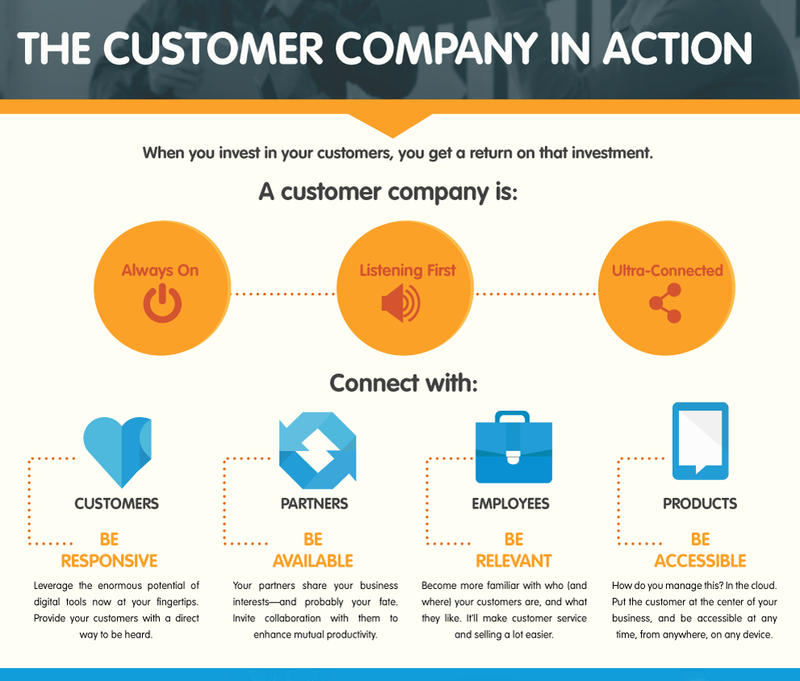 The authors now include the degree of customer co-creation. The outcomes of studies 3 and 4 indicate that consumers who experience a mistake in the service delivery of a highly co-created servicetend t oblame themselves for the flawed outcome and thus feel a sense of guilt. In such cases it is best to have no recovery process at all to restore customer satisfaction. The outcomes of this study lead to some interesting implications for managers. First it highlights the importance of awareness of the potential negative consequences of offering highly co-created services. However, because of the high potential positive influences, firms might want to offer highly co-created services. Therefor, firms should implement measuring indicators to minimize the change of co-created service failure caused by human mistakes. Because not all failure is inevitable, managers must focus on higher customer satisfaction along with the overall service. This can mitigate negative effects in case of failures. The importance of a proper recovery system is highlighted in this research. Heidenricih, S., Wittkowski, K., Handrick, M. & Falk, T. (2014). ‘The dark side of customer co-creation: exploring the consequences of failed co-created services’. Journal of the Academic Marketing Science. Ostrom, A. L., Bitner, M. J., Brown, S. W., Burkhard, K. A., Goul, M., Smith-Daniels, V., et al. (2010). ‘Moving forward and making a difference: research priorities for the science of service’. Journal of Service Research, 13 (1), pp. 4 – 36. Collective Hyperintelligence or Hypercollective intelligence? What does it take to create the smallest pieces you can find on this earth? Either you can jump in your self-made time machine and travel to the birth of our universe or, for the pocket money of 6.4 billion Euro, you can purchase 27 kilometers of tunnel underneath the Jura mountains in Switzerland and France, buy 9593 magnets, 1232 dipoles and 392 quadropels (1). Now you only have to find a smart brain and you will get yourself a private science lab, similar to the CERN in Geneve, right? Wrong! It was not the billions of tax money or the finesse of one Harvard student, which makes the ‘world’s most ambitious scientific experiment’ a successful story (2). 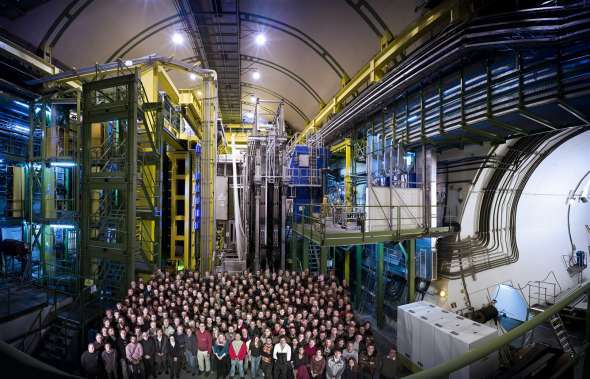 It is the fact that more than ten thousand qualified researchers from all over the world have collaborated in the experiments conducted at that giant laboratory (3), most of them physicist and engineers. Solely the largest experiment, ALICE, involves a scientific community, which, in my opinion, could refer to itself as the world’s smartest melting pot. 1200 researchers from 131 different institutes out of 36 countries make it possible to crash two tiny little substances with immense speed into each other, just to make them break apart further and to tell the physicists something about the history and future of the world (4). As any consumer that switches from one company to the other, I’m prone to compare the one to the other. With universities, this is no different. When I switched from Utrecht University (UU) to Erasmus University Rotterdam (EUR), I saw a lot of points that both universities did differently and where they could learn from each other. But the one thing that the EUR needs most, I know exactly what that is. As any good student, I regularly spend a lot of time on the university, working on projects, reading articles, doing research for my thesis, you name it. In between classes, before or after, I spend this time behind university computers (as I didn’t own a laptop) in the library, in computer rooms, etcetera. However, space is scarce in Utrecht’s university library. Whole generations of students have already been complaining that there are never enough study spots. Discussed measures have gone from a time limit on any computer use to banning HBO students from the library, but these were all rendered impossible to implement for the university. Of course there already existed a rule (and the on-screen timer that goes with it) that you are not allowed to spend more than 30 minutes away from your computer, or you’ll be logged out and lose your current files, but this solves little as students usually don’t take other peoples stuff away if they want to sit somewhere. Do you know something about “wearable technology”? Imagine: clothing and accessories incorporating some advanced technology capabilities. These kind of innovations are the real example of how technology is nowadays part of our everyday life.